Essential knowledge and skills refresher training course to re-embed critical upset prevention and recovery capabilities for APS graduates. Participants in the APS Recurrent Upset Training Program must have completed a multi-day base UPRT program with APS within the last three years – no exceptions. As outlined in the Recurrent UPRT-1 and Recurrent UPRT-2 mission profiles below, this full day is dedicated to reinvigorating your core UPRT skills and is a mandatory prerequisite to all later enhancements. 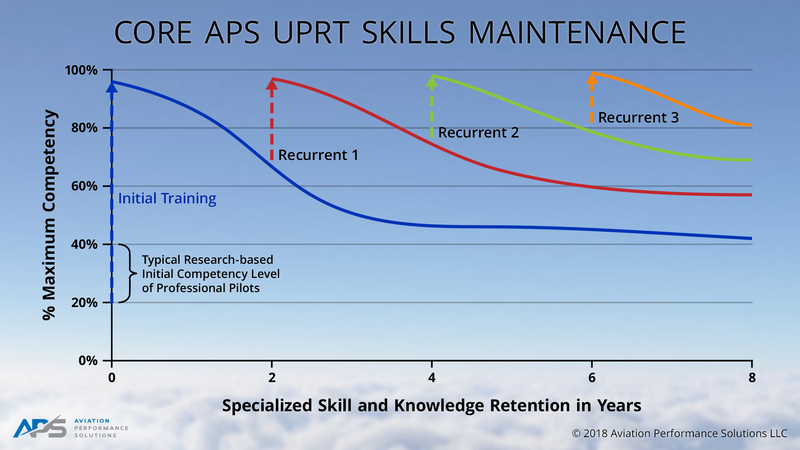 Your career training plan to minimize the threat of Loss of Control In-flight (called the APS UPRT Life Plan), should be to actively participate in the Core UPRT Skills Training session every two years. 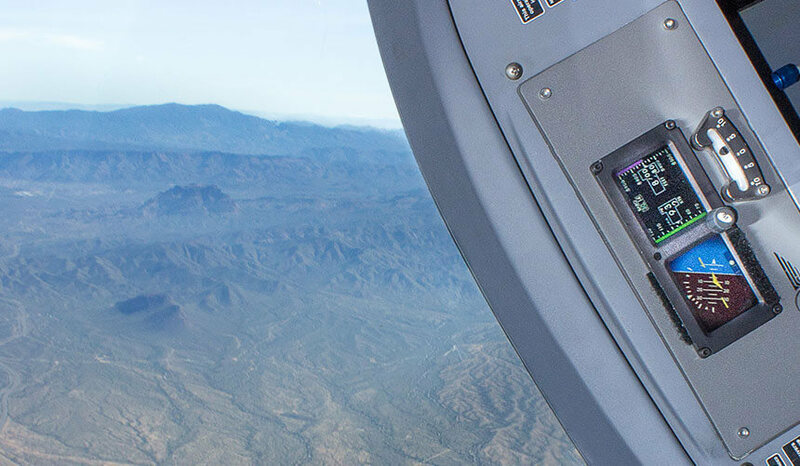 We continually update this program to ensure you are staying on the leading edge of all industry, national and global advancements to comprehensively address Loss of Control In-flight (LOC-I) through academic and flight training. Attention Customers: whenever time or budget constraints are an overriding concern, your enhancement should be on this 1-day program. The recurrent training program provides a robust reinforcement of the skills introduced through initial UPRT. One or more of the several APS enhancement modules can be added for an expanded recurrent training experience. This organized and precise approach to core UPRT skill development provides a career-spanning path to retaining important elements of UPRT-specific airmanship and manual handling skills that dramatically reduce the Loss of Control In-flight threat. The one-day APS recurrent course begins with an academic review of essential aerodynamic principles, renewing the understanding of critical principles and increasing awareness. A sound knowledge of UPRT principles underlies correct pilot response in escalating and/or developed upset events. This efficient one-day course includes two briefing sessions and two flight reviews of UPRT concepts and skills to provide maximum benefit in minimum time. The APS team knows that you want to be the most well-prepared pilot you can be, and their expeditious and straightforward recurrent upset training course accomplishes that objective. 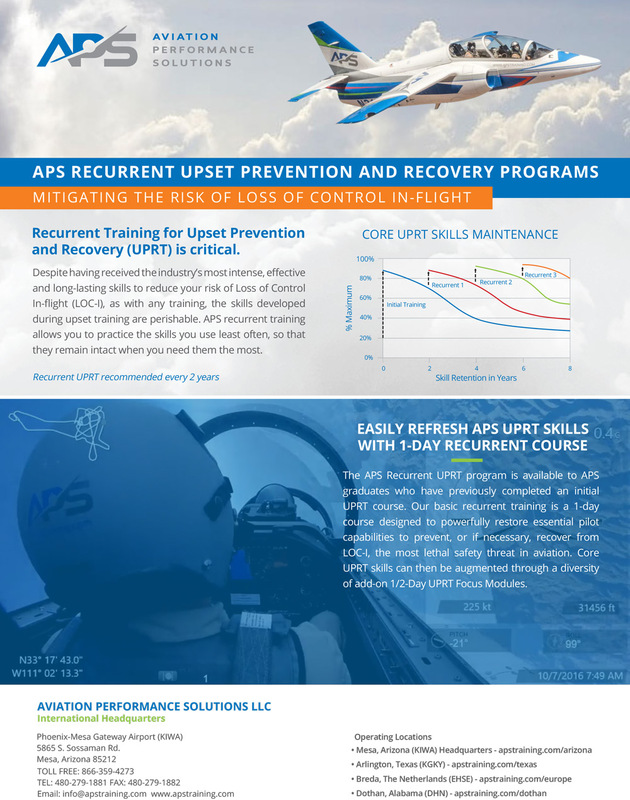 In essence, the APS 1-day Recurrent UPRT program delivers a compressed version of the Professional Pilot Upset Training course. The first of the two flights focuses on basic to advanced stalls, including power off and power on stalls, accelerated stalls, stalls with sideslip present (slips and skids), and concludes with a few elements of all-attitude maneuvering which emphasize aircraft control characteristics and techniques relevant to airplane upsets. This is the second flight on the same day as RUPRT-1 that begins with a briefing to discuss the supporting concepts addressed during the in-flight training session. This briefing and flight reviews nose-low and nose-high recoveries, recoveries by instrument reference, alternate control strategies, spin awareness, and concludes with additional or review all-attitude maneuvering exercises as needed or requested.